Roasted marshmallows, S’mores, spending quality time with friends and family. We can think of many reasons to build a DIY concrete fire pit this summer. Fire pits are an affordable way to add cozy ambiance to any outdoor setting, and extend the use of your outdoor space well into colder months. Things to consider when building a concrete fire pit are: permanent vs. portable, budget, location, safety* and style. Design can be as simple as a concrete fire pit bowl filled with lava rocks or gel candles, to more elaborate set ups with decorative concrete finishes and built-in seating. Design possibilities are endless. Consider the design of your home and landscaping when deciding on the style and size of the concrete fire pit. Tools, materials and concrete accessories will vary depending on the type of fire pit you’re building. 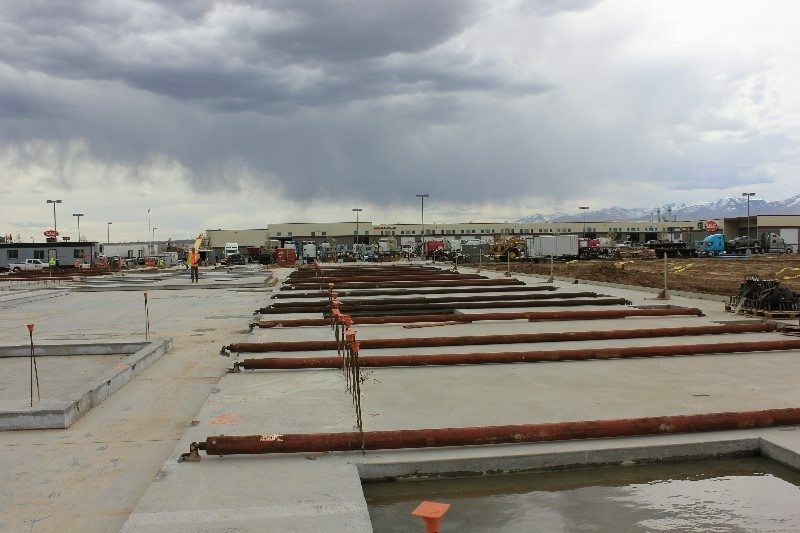 Intermountain Concrete Specialties can help you decide the best products and tools for your concrete project. Typically, a DIY concrete fire pit project will require marking paint or chalk, tape measure, shovel, level, pointing sand, general purpose sand, a bowl for the form or lumber for the framework, nails, L-brackets, fire bricks or a fire box, sealer, and of course, concrete. Additional products may be needed for your particular project. 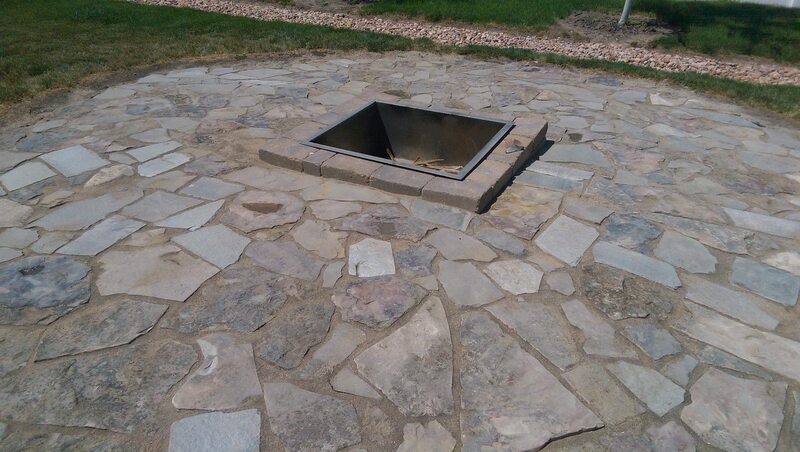 One of our sales reps recently built this backyard fire pit using stone, Quikcrete Polymeric Pointing Sand, Quikcrete General Purpose Sand, and Creto Masterseal Stone Sealer. This permanent structure has plenty of area for seating, and a flat stone finish. A similar look can be achieved using decorative concrete for the surrounding platform. Stop by any Intermountain Concrete Specialties location with your design idea, and we’ll help you choose the right products and equipment to build a concrete fire pit that will have friends and family gathering, and building memories, for years to come. *Check with your city or county for ordinances prior to building a fire pit, and practice proper fire safety when using a fire pit. When it comes to countertops, there are a lot of options on the market these days: granite, quartz, laminates, wood and concrete are just some of the possibilities. So why are so many homeowners choosing concrete countertops? Decorative concrete offers a creative and affordable way to change up the look in your kitchen and bathroom while delivering advantages that other materials can’t, especially when it comes to versatility and practicality. Concrete countertops can be designed to order, including color, shape, size, finish and edge, bringing a completely customizable look that can be tailored to your home’s design style. Color options. Decorative concrete countertops offer endless color options, including integral color chemical stains and water-based stains. Prepare samples ahead of time so you know exactly what the final color will be. Color can enhance the pattern and texture of decorative concrete, bringing a huge impact to the overall design effect. Texture / Pattern. Texture and pattern set the tone for the overall look of any decorative concrete project. Herein lies the beauty of concrete countertops, which can be created to mimic slate, granite, natural stone, brick, antiqued finishes, and more. Concrete countertops can be further customized with inserts and inlays, such as pebbles, sea glass, mini tiles and more. Shape. Concrete countertops can be cast in any shape and size. This goes a long way in allowing homeowners to customize kitchen and bathroom countertops to their space and personal needs. Concrete countertops can also be created with custom edges. The design possibilities are truly endless when it comes to decorative concrete countertops. Heat and stain resistance. Concrete is naturally heat resistant, but it’s also porous. Applying a surface sealant will increase stain resistance. Once a sealant or wax treatment is applied, avoid placing hot pans on the sealed concrete surface. Minimal seams. Depending on the size of the concrete countertop, they may have to be cast in smaller sections. However, visible seams can be minimized with the use of a concrete filler that matches the color and texture of the rest of the countertop. And unlike tile countertops, there won’t be any crumb-catching grout lines. Cost effective. The average cost of a standard thickness concrete countertop is cheaper than granite, engineered quartz, and other high-end materials. Best of all, you can achieve the same finished look with concrete as you can with more expensive materials. While laminates and other synthetic surfaces may be cheaper, they generically don’t have the same overall versatility as concrete. Concrete is the most widely used building material in the world, and has been for thousands of years (in one form or another). 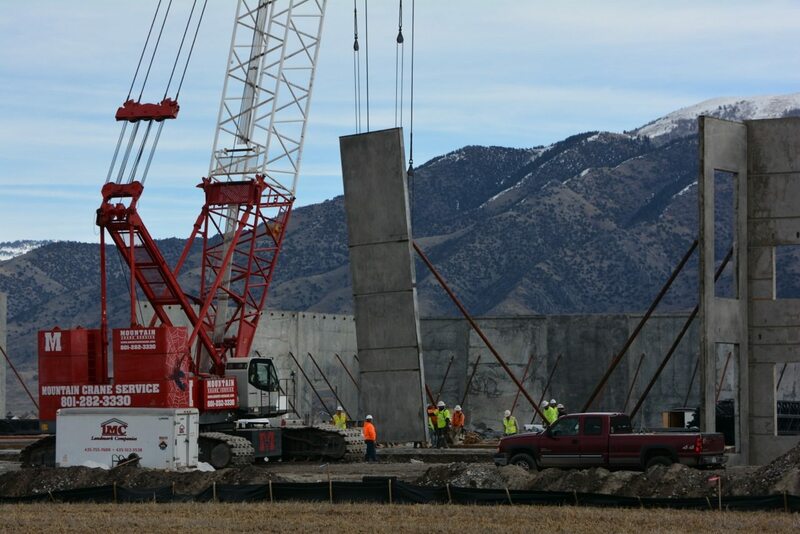 Innumerable famous structures around the world have been built using concrete—and there are some pretty impressive concrete structures right here in Utah! Sun Tunnels is a large-scale earthwork created in 1976 by artist Nancy Holt. 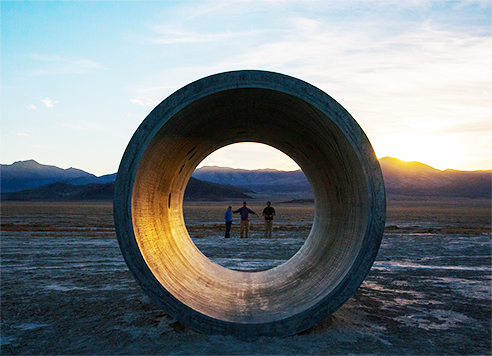 Located in remote Lucin, Utah, four massive concrete tubes are laid out in an X configuration that lines up perfectly with the rising and setting sun during the summer and winter solstices. Holes are drilled in each nine-foot diameter by 18-foot long concrete tunnel, to correspond with the constellation patterns of Draco, Perseus, Columba, and Capricorn. The holes and the Sun Tunnels themselves act as frames through which visitors can view the dramatic sky and landscape of the Great Basin Desert. Some people call Ratio a “big pile of blocks.” Others see it as high-concept land art, and still others see a resemblance to a Mormon temple. As for Ratio patron Herbert Steiner? He simply wanted to leave a legacy. Herbert Steiner was 88 years old and blind when he commissioned artist Andrew Rogers to create Ratio in Green River, Utah. 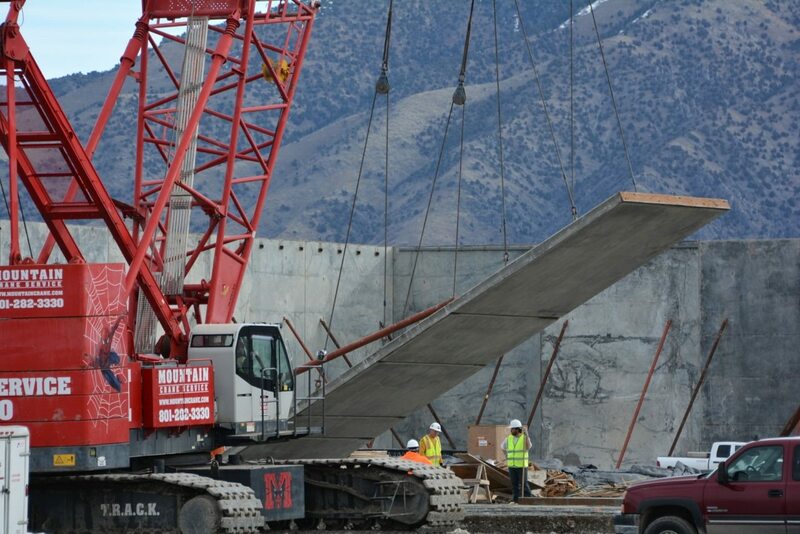 One of the most impressive Utah concrete structures is based on the Fibonacci sequence, or the Golden Ratio. 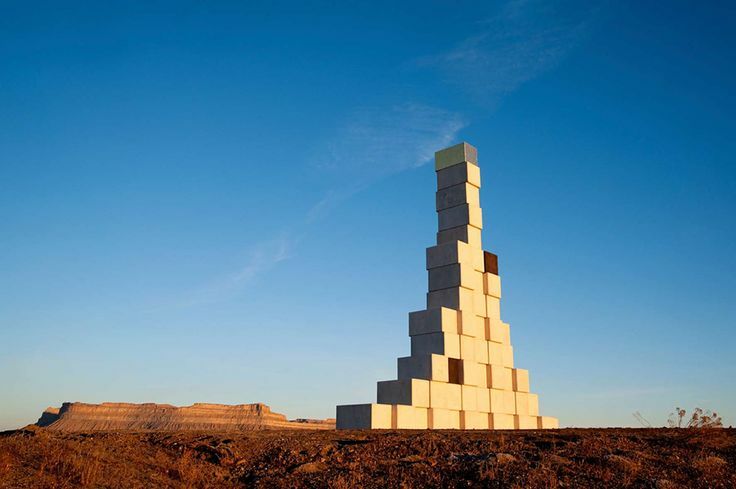 Constructed of 53 massive concrete blocks made from white cement powder, each weighing 4.5 tons, Ratio stands 44 feet high and 42 feet wide and can be seen from the highway and the Green River train station. Capped with a 23-carat gold-leaf covered concrete block, Ratio is one of 48 large-scale structures Rogers has created around the world as part of his Rhythms of Life project. 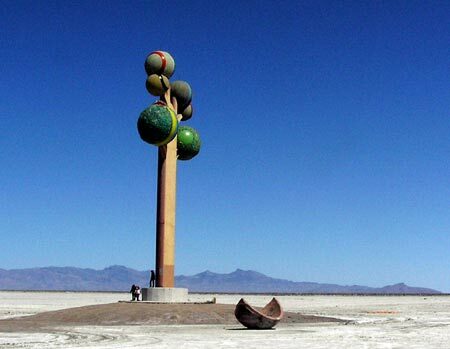 Metaphor: Tree of Utah is an 87-foot sculpture made mostly of concrete created by artist Karl Momen to bring “bold color and beauty to the stark, flat, salty landscape.” Situated in the Salt Lake Desert about 25 miles west of Wendover, the artist was motivated to create this concrete sculpture after driving through the barren Bonneville Salt Flats in the 1980s. Without a doubt, the Comet Bobsled is Olympic Park’s most visited activity. 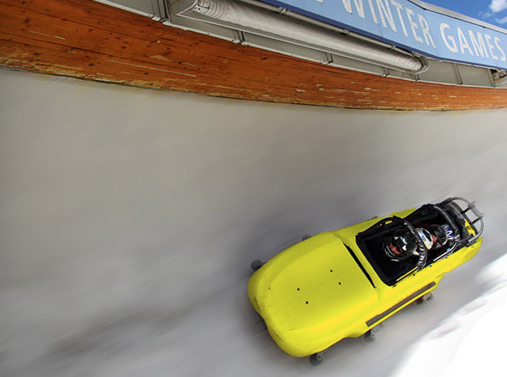 Designed for the 2002 Salt Lake City Winter Olympics, the Comet Bobsled races down the track with notable G-forces. During the summer, the bobsleds are modified with wheels to roll down the track’s 0.8-mile concrete surface at 60 mph in less than a minute! 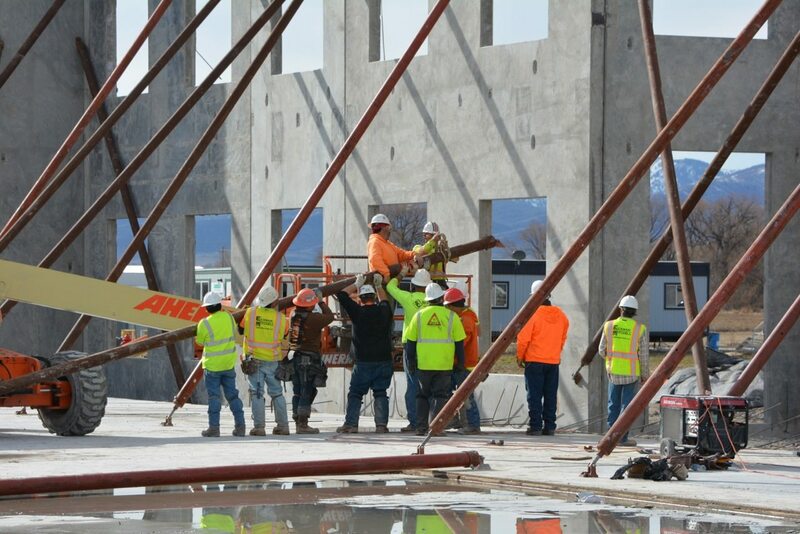 The Public Works Department in Price, Utah operates in a municipal complex consisting of four interconnected, monolithic concrete domes. A similar setup exists at the Centro de la Familia in Genola, Utah, designed as a facility for Utah’s migrant workers. 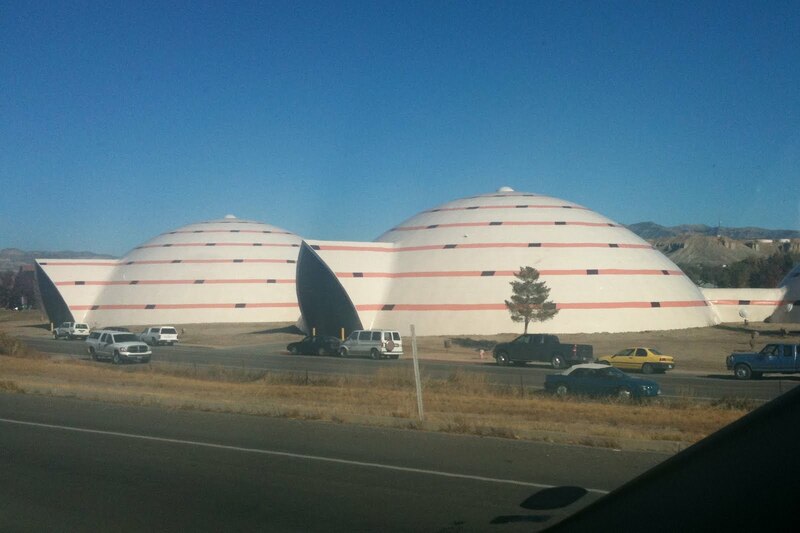 Utah architect Leland Gray is designing thin-shell concrete domes for use in schools all around the U.S. 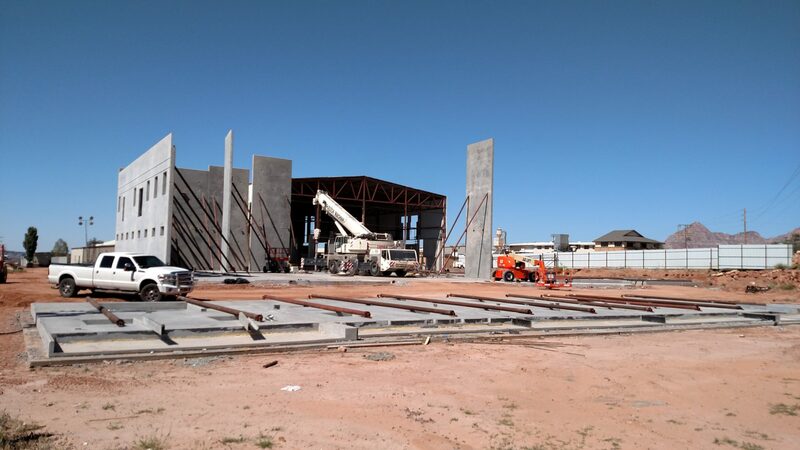 The monolithic form makes the school practically indestructible and the concrete naturally keeps the building at a comfortable temperature.